We revisit 7 inspiring stories from the past year. In 2014, TechnoServe’s work continued to expand and evolve. Our programs reached hundreds of thousands of enterprising people – men and women who are driving growth and transformation in their communities. Here are some of the highlights. We celebrated the International Year of Family Farming by working with farmers like Joska Aweko to apply business skills to their work, improve their farming techniques and diversify their crops. 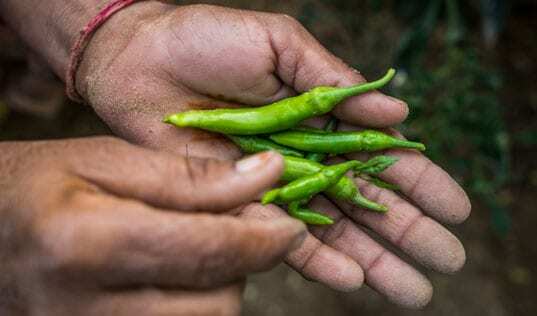 These efforts are helping farming families improve their standard of living while promoting food security in their communities. 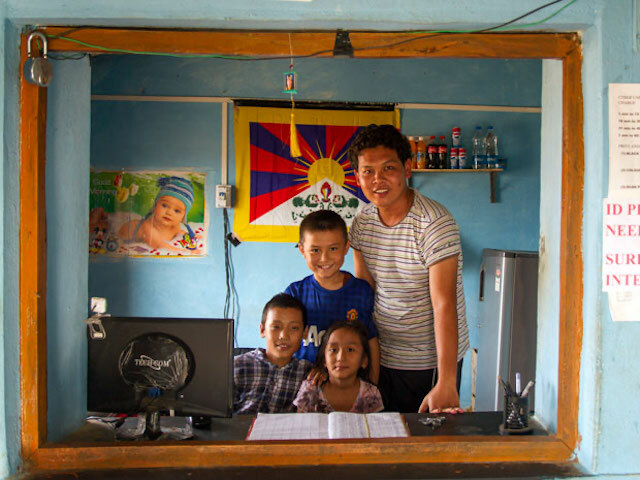 After participating in a TechnoServe business plan competition, Nyima Dhondup, 22, launched a cybercafe in his community – a Tibetan refugee settlement in Mundgod, India. With support from TechnoServe, enterprising Tibetans like Nyima are helping to preserve Tibetan culture by building sustainable businesses and generating new economic opportunities in settlements across India. 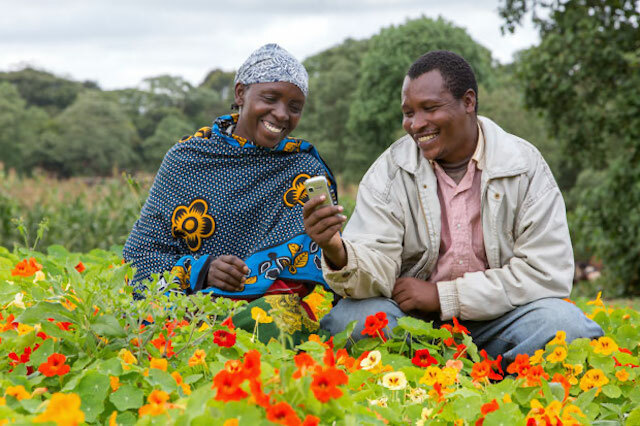 Flower farmers in Tanzania are using their mobile phones to receive secure payments, access market information and connect to buyers. 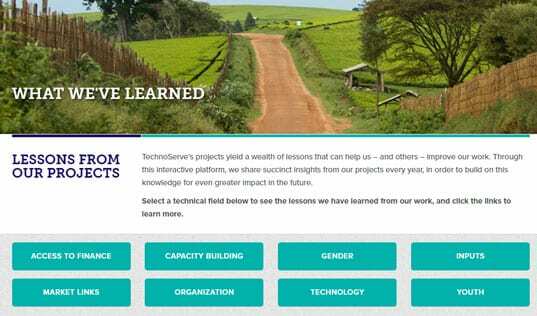 Through the Connected Farmer Alliance (CFA), TechnoServe helped facilitate communications and transactions for 8,000 smallholder farmers and five agribusinesses in 2014. In October, CFA announced its first commercial agreement with Olam International to support 30,000 farmers in Tanzania. “We want to share a taste of Haiti with the world,” says Fleurisca Malvoisin, who has more than doubled his income from mangoes since joining the Haiti Hope Project. Fleurisca and thousands of other farmers participating in Haiti Hope are now selling their fruit to Whole Foods Market in North America. 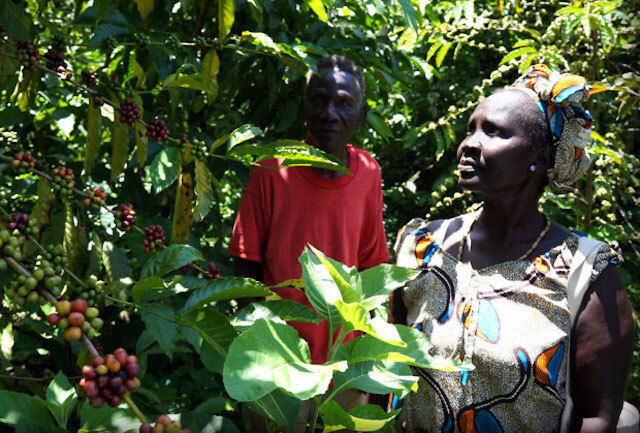 Through our partnership with Nespresso, TechnoServe helped to establish the first three coffee cooperatives in South Sudan, and supported them in exporting the first fully washed coffee in the country’s history. Exhibiting at Latin America’s largest food festival in September, sister entrepreneurs Claudia Vásquez and Ivonne Alvarado are among the trailblazers of Peru’s burgeoning chocolate industry. With TechnoServe’s help, they are expanding their product line and exploring new marketing opportunities for their business, Exotic Chocolatier. 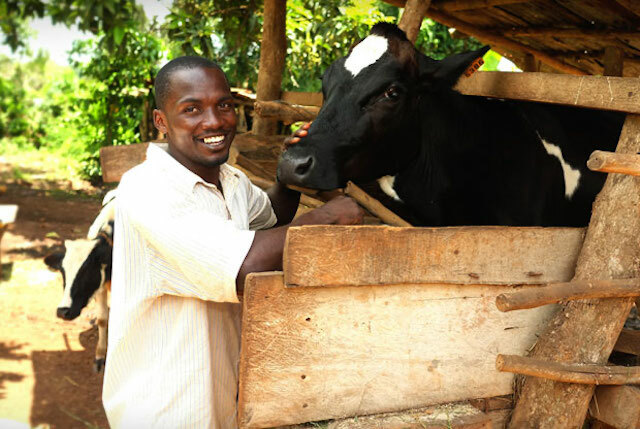 Arnest Sebbumba, an enterprising young farmer from Uganda, describes how TechnoServe’s STRYDE program inspired him to pursue a career in agriculture and empower other rural youth in his community. Help us reach even more people in poor communities around the world. Make a gift today to help hardworking men and women transform their lives and their communities. We’re excited to see what we can do together in 2015!